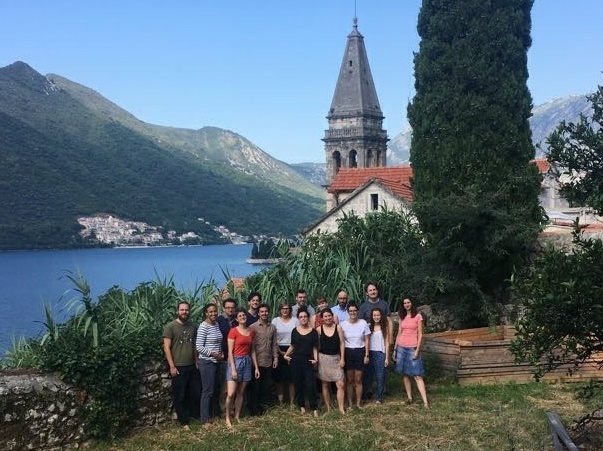 Last week, we were delighted to host, in co-operation with SHARE Foundation, our first litigation retreat in the stunning surroundings of Perast, Montenegro. The retreat brought together thirteen individuals working on digital rights litigation across Europe to help sharpen and build upon their strategic litigation skills. During our February strategy meeting, our network identified a need for more skill-building and skill-sharing around strategic litigation on digital rights. Between February and July, a number of follow-up calls and exchanges with members of our network helped determine in more detail what would be most useful, on the basis of which the programme for the retreat was created. In the course of four days, participants worked on litigation and advocacy plans for a strategic case of their choice by means of group work, discussion, and sharing knowledge and skills from their own litigation experience. These cases dealt with a range of digital rights issues from net neutrality and online censorship, to surveillance and data retention. By the end of the week, participants left the retreat with a holistic litigation strategy and plan that could be used to help maximise the potential impact of their cases. The retreat took place alongside a workshop on the next steps for GDPRexplained, an information campaign about the EU General Data Protection Regulation that has been co-ordinated by the Panoptykon Foundation, EDRi, and Bits of Freedom. Participants at both events spent time together to find ways they could benefit from each other’s work. DFF will co-host another litigation retreat for a new group of participants together with SHARE in Belgrade, Serbia this October. The programme will build on the feedback provided by the participants at last week’s retreat. In 2019, DFF will support two thematically focussed litigation meetings, which we hope can facilitate information- and skill-sharing for litigation on specific digital rights issues. A call for applications for the first meeting, which would take place around May and focus on litigation around the GDPR, will be issued this fall. We also hope to continue supporting more general skill-sharing initiatives, including the creation of strategic litigation toolkits, so watch this space!